2rd place in Czech JUNIOR TOP DOG 2018 of all young dogs and breeds !!! & 5rd place Czech TOP DOG 2018 in FCI group I. 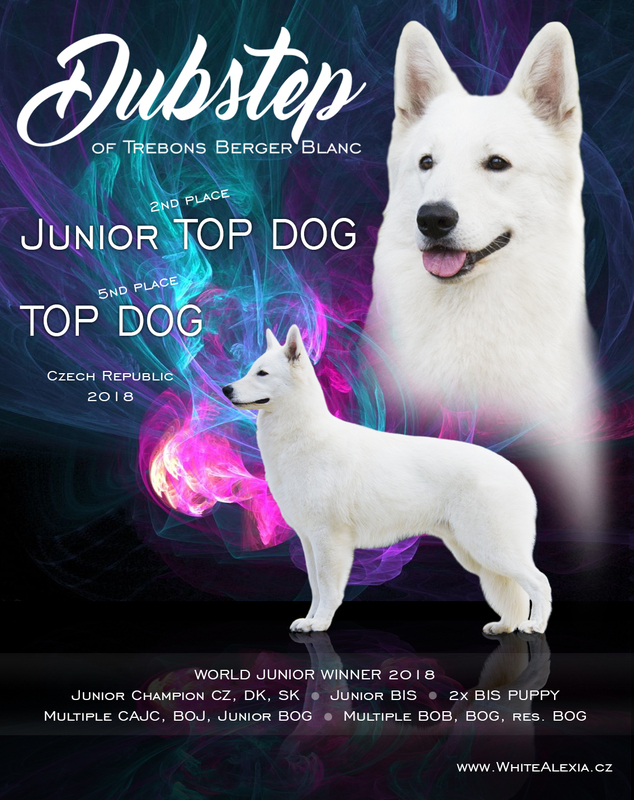 He achieved this success by the Junior Top Dog by attending only 5 dog show in the Junior Class and 3 dog Show in the Adult class in the Czech Republic. Only 5 dog show in the Slovakia! We will open the show season 2019 at the exhibition in April. Výstavní sezónu 2019 zahajujeme na výstavě v dubnu.